Whether it’s a sales training programme or another skill you want your staff to adapt, by using a blended learning environment retention rates are increased and training costs are reduced. In-Person Training: During live training sessions coworkers can brainstorm and learn from each other. They can practice the new skills and get immediate feedback. Online Learning: By incorporating online learning, staff can learn new skills or reinforce existing ones according to their schedule. Coaching: By implementing coaching sessions, staff can get personalised feedback on current issues they are facing. Face-to-face driver: Trainer drives the instruction and augments with digital tools. Rotation: Employees cycle through a schedule of independent online study and face-to-face classroom time. Flex: Most of the curriculum is delivered digitally and trainers are available for support. Labs: All curriculum is delivered digitally but in a consistent controlled physical location. Online Driver: Employees complete an entire course purely through an online platform with possible check-ins. The majority of our clients choose the face-to-face driver system where we focus on live training to kickoff the programme then reinforce it through our online sales training platform SOCO Academy. This allows for group sharing and buy-in to the programme from the start. 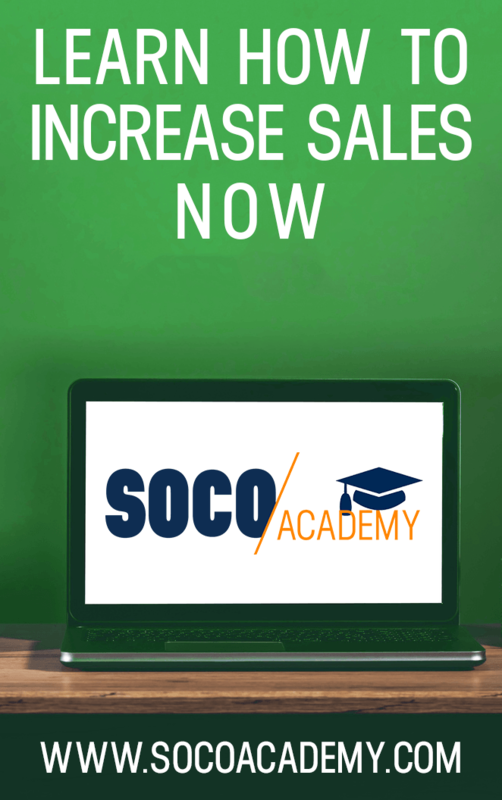 By incorporating SOCO Academy, they also have the ability to get new hires trained on desired selling skills without having to wait for the next live training. With the social element in SOCO Academy new, existing and geographically dispersed staff can all collaborate and share online. We are seeing an increase in online driver systems implemented for geographically dispersed and small teams, but we enhance it through live monthly or quarterly webinars which creates an extra element of accountability. The lab system is often implemented by companies with sales team leaders who want to take a proactive approach to training their staff. They incorporate sales training at monthly meetings using our SOCO Academy Leader Manuals to guide them through live team training blended with the online learning. 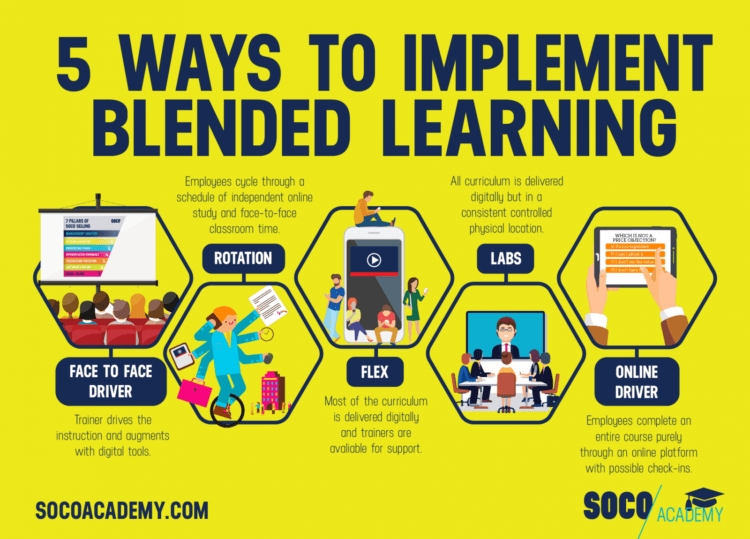 The best method for blended learning depends on your team and your company. It doesn’t matter what method you choose, just focus on getting started with blended learning. Need help creating a holistic program for your team? Ask us how we can help implement a blended learning environment that works in your organisation.